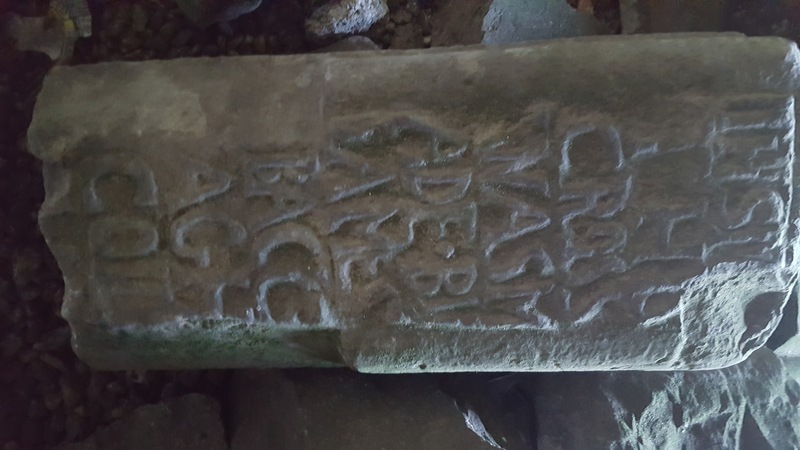 Shaft of a post medieval cross in Athenry Dominican friary. A shaft of a post medieval cross survives in the vaulted room to the south of the choir in Athenry Dominican friary. It is an elusive cross that was not previously published. 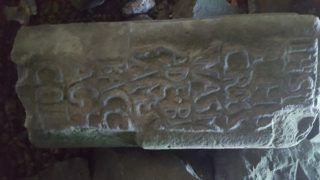 An English inscription in raised letters beneath an IHS monogram with a small cross reads: This Cross was made by James Baccagh Coil—-? It original location with the town medieval of Athenry is unknown. The cross shaft is carved from a single block of limestone. It has round moulded edges. The base and collar (if there was a collar) are missing. This page was added on 27/11/2018.